Previously we discussed the woven grenadine tie, something unrelated to the tie that we will look at now. 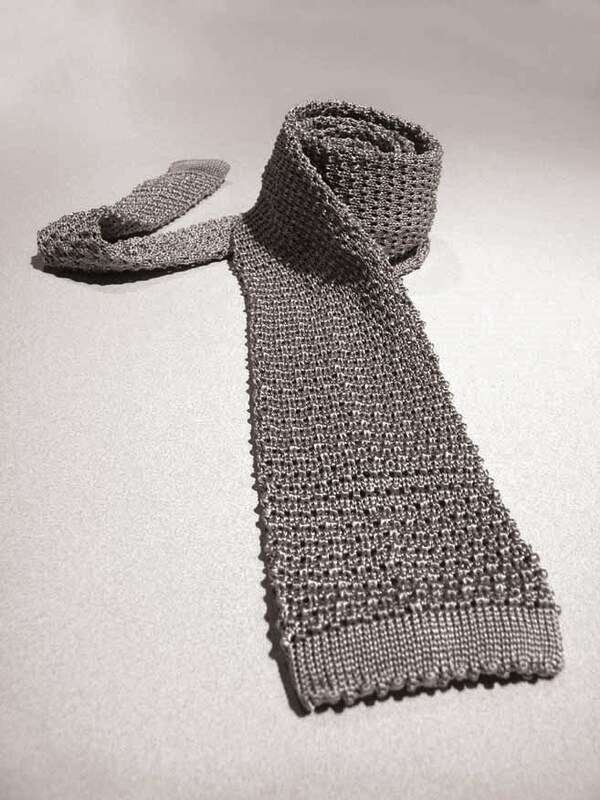 The knitted tie is tube of knitted silk with a straight hem at the bottom. The tie is made with neither folds nor a lining like a regular tie is. To many they resemble a sock, especially when they are made in cotton or wool. Knitted ties are more casual and rustic than ordinary ties, and though Bond sometimes wears his with formal city suits, they’re more appropriate with tweed and the like. 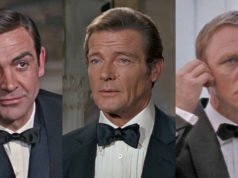 The literary Bond preferred black knitted silk ties, but they can also be seen on Sean Connery in Goldfinger in black, navy and brown with both suits and sports coats in worsted, flannel and tweed. Connery also wears a navy knitted silk tie in You Only Live Twice with a navy worsted suit. George Lazenby’s Bond was also quite fond of knit ties, almost always wearing one in red or navy with his city suits. Roger Moore and Pierce Brosnan more appropriately wear knitted ties with tweed suits in Moonraker and The World Is Not Enough, respectively, and Timothy Dalton wears a knitted tie with a gun club check sports coat in The Living Daylights. Daniel Craig brought back the knitted tie to the Bond series with a rust-brown silk tie in Spectre. Whilst knitted ties ordinarily have straight ends, this tie from Tom Ford has the wide blade is knitted with a pointed end. The narrow blade still has a straight end. Craig wears this tie with a light brown sports coat made of wool, linen and silk and khaki chinos. This is a superb website. I have the 'Dressed to Kill' book and highly recommend it. In fact one of the authors gave it to a friend of mine, a book editor in NYC, and she passed it on to me. I look forward to additional posts. Well done. they are very useful to have and can go with pretty much everything. If you get one with a pointed end (as opposed to the square end) it enhances the use considerably and allows wear with even the most formal of suits. I recommend Howard Yont, they carry these lovely creations!!! Silk knit ties are awesome and quite versatile. I have two. I have another knit that is wool. Contrary to their reputation with sartorialists, it keeps its shape just fine, but is definitely more appropriate for fall or winter. Just wish I could find some that have the tight weave and small knot that Connery's did. 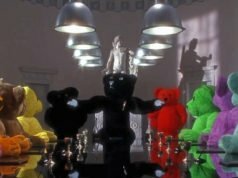 I would love to see Craig in a silk knit tie, but they are having problems with the franchise right now and the next movie is on hold indefinitely. It's their fault for killing it with the mediocre "Quantum of Solace." Until then, you can see him in action as Bond once again in the "Goldeneye" Wii remake, which I've read is actually quite good. 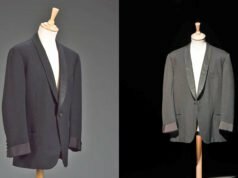 There has been something of a revival in silk ties recently, along with the Mod-inspired skinny look – which has re-awakened an interest in knitted silk ties in the UK. From what I have seen from internet searches, there is a good selection of fairly closely knitted in crochet style (like in the photo above) as well as jersey knit in solid, stripe and patterns of all colours. And at fairly reasonable prices. The range of knitted ties in wool is not so great, but some of the finer wool knits or weaves allow for a smaller, tighter knot to be tied. Have a look at http://www.woodsofshropshire.co.uk or http://www.moodysworldwide.com – not all JB in style, but good for ideas. The mediocre Quantum of Solace has nothing to do with the delay, it's all about MGM's problems. They're all working to have the movie released in November 2012. It would be nice to see Bond with a knit or grenadine tie again. The last time Bond wore a knit tie was in The World Is Not Enough, worn in cold Scotland with a tweed suit. The ideal situation for a knit tie. "Every actor playing Bond except Daniel Craig has worn a knit tie at least once." When did Pierce Brosnan wear a knit tie in the Bond films? Brosnan wore a knit tie in the Scotland castle scenes in The World is Not Enough. Ah, thanks, Matt. I apologize that I didn't notice you mentioned it in a previous comment as well. I recently bought a black silk knit tie (with square end) from a seller on eBay for £16 (. I love the feel of it and the satisfying scrunch sound it makes when you tighten the knot. With a half-Windsor, you get a pleasingly shaped knot, not too big and nicely symmetrical. As a fan of the early Bond style and a secondary school Art teacher I only wear knitted ties. Most students have never seen them before they meet me. It’s rather good to expand their style horizons. Ebay has plenty but you need to make sure that they’re not too narrow. Bond wouldn’t wear a polyester tie. Ok. But what about the color and the weave? Knitted ties are very Bondian. The colour isn’t something Bond has worn in a knitted tie, but if the colour looks good on you it’s close enough.